The days are passing by and we are already entering the third month of this year. March brings in the festival of colours ‘Holi’ and also the Hindu Calendar New Year for some in the form of Ugaadi or Gudi Padwa. I’m sure there will be events all over the blogosphere celebrating these festivals but here at Foodelicious we are going to celebrate the South Indian Cuisine. The event will run through the month of March. One of the most popular cuisines of India, the South Indian Cuisine is a term used to refer to the cuisines found in the four southern states namely Andhra Pradesh, Kerala, Tamil Nadu and Karnataka. There’s a great diversity in the preparations and flavours of the four states but a few things that are common are, the use of rice, coconut, curry leaves and tamarind which gives the southern cuisine it’s identity. Rice is the staple food of Southern India but in Karnataka, Jowar and Ragi are also eaten. There’s a huge difference in the style of cooking between the North and South Karnataka and the small additions bring in great variations in taste. Idli and Dosa are eaten everywhere in Southern India but the texture of Idli and Dosa varies from state to state. So many varieties of Dosa, Idli and snacks are made in these states. There’s a huge range of cuisines within the Southern cuisine that can be tried. One can cook the Nawab’s delight- Hyderabadi Food which is rich and aromatic on the other hand cook the hot and spicy Andhra food or try the coastal Mangalorean cuisine, choice is entirely yours. The book has great reviews and it will be shipped only in India and anyone who can provide an address here in India can be part of the giveaway as long as you are participating in this event as a follower or reader of my blog. Any number of fresh entries can be sent but only two entries from the archives will be accepted, provided they are reposted again. Use of logo is mandatory as it helps spread a word (and for that just click on the logo and once it opens in a new page, copy it). Vegetarian and egg dishes are accepted. Mention in your post the Southern State to which the dish belongs to. Link your post to this event announcement page. Use the linky tools only to send your recipes only if you face a problem using the linky tool, mail your entry to me. There will be two linky tools, those participating in the giveaway leave the links in Linky ‘For India’ else leave in ‘Others’. Looking forward to your recipes. Cheers and good luck. Very exciting event. Now I can fry some south Indian recipes which I read recently. This looks absolutely yummy..I should try this soon...Bookmarking this one..
Do drop at my space. A great event. Happy hosting and I will try and send you at least one entry. Cool event to look forward to and the round up of this event is gonna be irresistible for sure. Nice theme,definitely I am in :) Happy Hosting!! Looking forward to see a good collection of lip smacking South Indian dishes. Linking my recipe for Green Gram Coconut Curry. Chef Al dente On going event: Gimme GREEN! Is it not enough to have the links to the event on the archived blog post and to republish it? Reposting the same entry simply creates duplicates recipes in the blog. First time here, you are hosting a nice event, linked in one, Bitter gourd fry, happy to follow you.. Linked my first entry..happy hosting!! http://thecacographerr.blogspot.in/ Do check out and leave ur comments/ feedbac wen u fd tym. Hi...I posted my entry for Mango rice in Only South Indian - Indian Entries instead of Only South Indian - Other Countries. I am not able to edit it now. Please help. Hai! Nice Event.I posted my entry Kerala Olan and not able to link.I'll send to your mail box. wow! 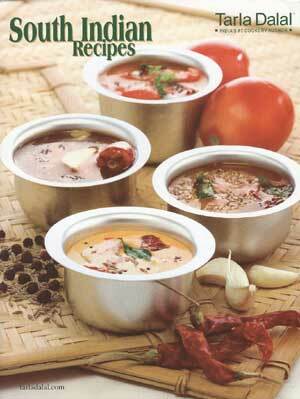 I like South Indian foods very much.just now I linked my Avial recipe. Sorry, this is the first time I have ever linked an entry or participated in anything like this - and the entry has my name instead of the dish! Sorry I linked my Parippu Vada entry in the Indian list whereas it has to be in the below list,please correct! Just linked my other entry . Its the 12th entry in indian list,I have added it again in other countries list..please delete the indian list one!! Linked my first entry-Vendhaya Kuzhambu...Will try to link some more..thanks!! hai pari! not able to link. "We can't find the image at that URL.•Please check the address for typing errors. •Make sure the image is public. If your image is protected by a password, or on an internal network, we will not be able to read it." Thanks for the remind...linked my entry...Thank You!! Hi pari..First time here at your space.Happy to follow you.I tried to link my entries here, but looks like there is a problem, will send it to your inbox. Hi Pari,linked my one more entry here. Linked 2 of my entries here.Link Works good today! Thanks for the wishes Pari, Before the image URL is not available. Now it is available, I have updated the logo in my entry. Have corrected the required details.Let me know if that is okay! Linked Pachi Pulusu link again, I was not able to delete the previous wrong link...Please delete it ! !